One of the most exciting things about getting engaged is being able to totally and completely surprise your fiance when you pop the question. However, many couples today go engagement ring shopping together. While this will ensure that your fiance gets the exact ring she wants, it takes away that element of surprise that many couples are looking for. 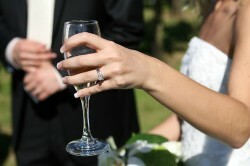 Luckily, you can still get your fiance a ring she’ll love and surprise her when you ask her to marry you. To show you how you can accomplish both of these things, here are three tips for picking the perfect engagement ring for proposing to your soon-to-be fiance. Regardless of how beautiful the ring is that you pick out for her, a lot of wind is going to be taken out of your sails if you come to find out that the ring doesn’t fit her right. However, if you just straight up ask her what your her size is, you’re going to be losing that element of surprise. To combat this, Brett and Kate McKay, contributors to The Art Of Manliness, recommend that you try to find a ring that she wears occasionally and “borrow” it for a day or two. You can take this ring to a jeweler to see what size it is and get a very good idea of what size of ring you’ll need to buy her. Just make sure you put the ring back quickly so she doesn’t catch on to what you’re doing or get worried that she’s been robbed for real. One of the hardest parts about buying a ring for your fiance is not having her specific input into what she might want to ring to look like. But luckily, when most girls suspect that they might be getting proposed to soon, they usually start dropping hints. According to Christina Park, a contributor to Brides.com, try to keep your ears open for ideas about the shape of cut she might want, if she’s interested in non-traditional rings, what metal she likes, or if she makes comments about anyone else’s ring. All of these things, along with your understanding of her personality, will help you pick the perfect style of ring for her. If you’re seriously lost about what to get her but are still determined for everything about your engagement to be a surprise, Richie Frieman, a contributor to The Knot and the Huffington Post, recommends that you enlist some help from her friends. The people she knows best or has known the longest can help give you confidence if you’re on the right track or can redirect you if you were making choices that they don’t think she would have liked. Just be sure that you keep your secret to only a few of her friends and that you don’t leave them hanging with this information for too long, or your surprise might not be as impactful as you’d hoped. 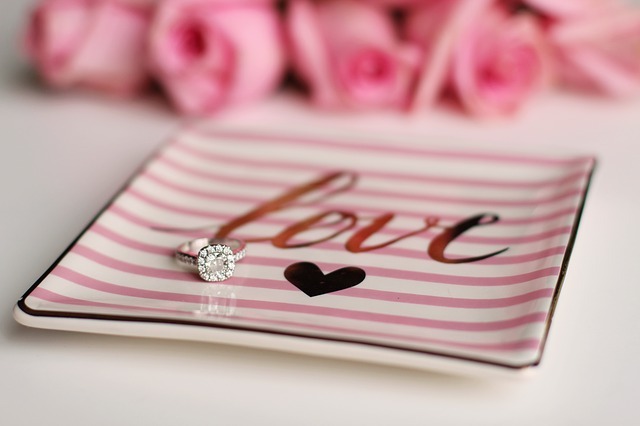 To surprise your soon-to-be fiance with the engagement ring of her dreams, consider using the tips mentioned above to help you pick the right ring the first time.